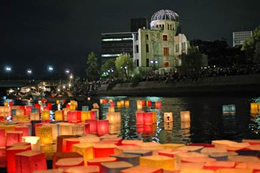 Hiroshima, with its unfortunate history, is now a bustling city that has grown from the past. 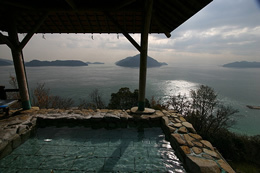 With panoramic views of the Seto Inland Sea, this outside bath is a perfect place to relax. This bridge is built of timber, and was constructed without a single nail. 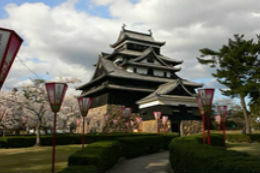 The only feudal castle in Shimane, nicknamed 'the Black Castle', never saw a battle. 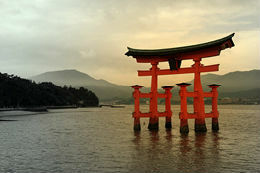 This gate stands off the shore of Miyajima Island and is one of Japan's most sacred sites. 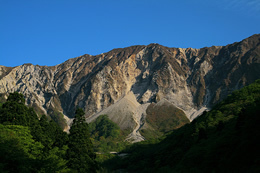 Part of the highest mountain range in Chugoku, and was once off limits for climbing. 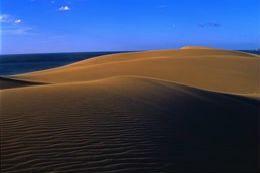 These dunes are the largest in Japan and stretch for 16km along the northern coast. 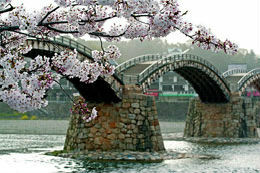 This primarily mountainous region makes up the westerly most part of the main island of Honshu. The largest city in the region is Hiroshima which is located on the southern coast, known as the 'Seto Naikai'. This area is well known for its relatively dry climate and is home to a number of urban centers. The northerly Sea of Japan coast is rugged and mountainous, and being so close to China and Korea, has a rich history and there are many ancient traditions and customs that reflect these influences.